Where are you now with your product ? We have your request and will contact you in next working day. 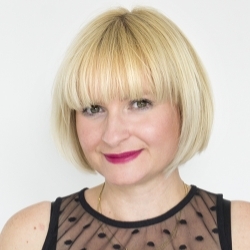 Enthusiastic and highly motivated professional with 10 years of comprehensive experience in marketing and public relations. Works with a multidisciplinary teams in a fast-growing and international environment to create outstanding content across a variety of platforms and products. Always brings a host of ideas to apply them at the company. The summer months are usually a more laid-back period of the year, when people take time off to relax and spend time on vacation. 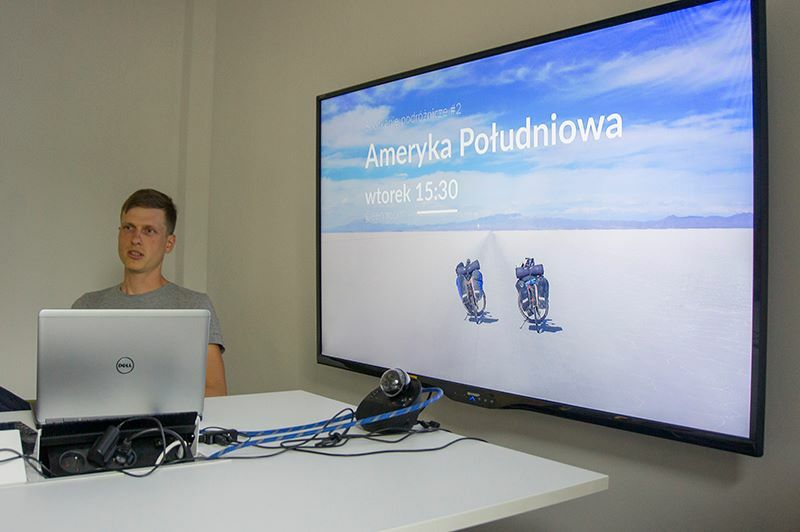 But July was still a productive month for us, full of development both in the office and outside of it! Continue reading to see what we were up to in July. At the beginning of this month, our CEO Jarek participated in a Silicon Castles conference in Salzburg – an exceptionally high-tech but also historically and culturally rich region of Europe. The Startup Executive Academy 2018 was a unique learning experience that opened its participants’ minds to new solutions in business and technology. The incredible keynote by Martin Wezowski – Chief Designer at SAP shows how Artificial Intelligence will enable a new era of human work where imagination, creativity and strategy become the most important skills. People shouldn’t worry that AI will take their jobs away, rather it will just make them smarter and more efficient – at least that is how Martin is trying to look upon the new developments in AI. During this event, Jarek also had the opportunity to meet professor Baba Shiv from Stanford University, who conducted workshops during the first day of the conference. The conference was full of inspiring sessions on business and innovation, and a wonderful learning experience for all of its participants! Nowadays, children are practically surrounded by technology from the moment they are born. This is unavoidable in the modern world. What is more, attempting to isolate them from technology may actually do more harm than good in our ever-developing reality. We believe that it is up to us adults to guide children in their exploration of technology by providing them with the right tools and resources. 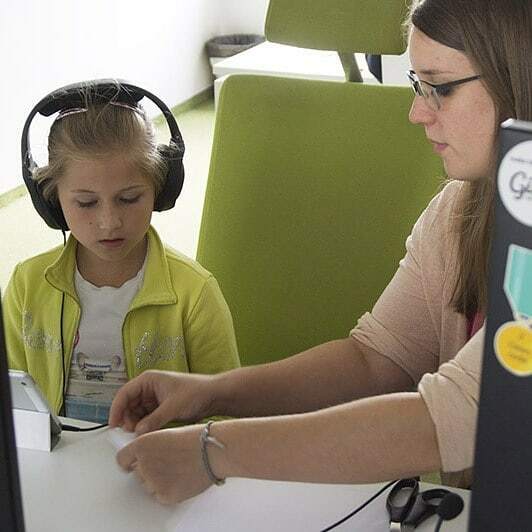 Children can develop multiple skills and even learn programming by playing games adjusted to their age. Kids are our future, so let’s make sure we give them the possibility to make the most of it while also having fun! Every week one of us has the opportunity to share their travel experiences with the rest of the team. Since it is vacation season, this is the perfect time for those of us at work to experience other cultures vicariously through one of our coworkers. At Skyrise we love going on adventures and we are open to experiencing new places and different cultures, so our Travel Meetings are a refreshing break that provide us with plenty of inspiration as well! We recently took our Human&Technology motto and applied it to t-shirts. 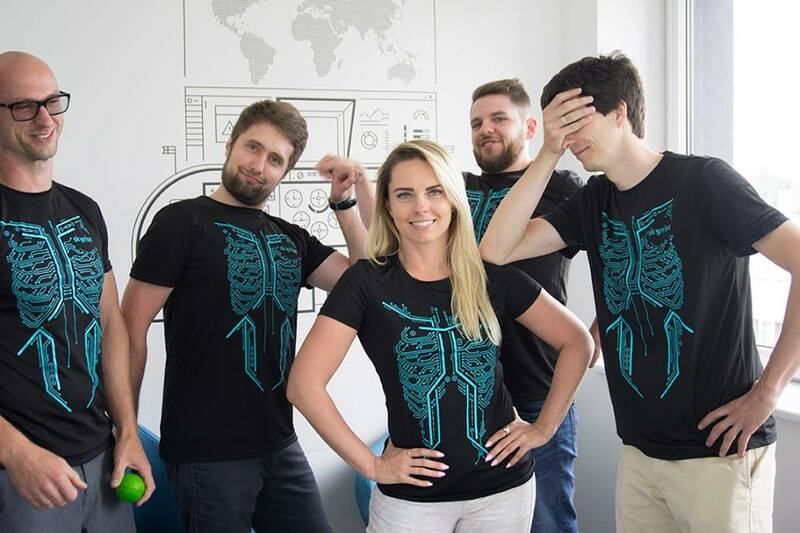 Now not only can we live and work by the idea of finding ways to connect people and technology, but also wear it! The t-shirts are a great way to remind us that we are a team at work, but also during group activities outside of the office. They are really comfortable and especially useful for different sports events that we enjoy participating in. 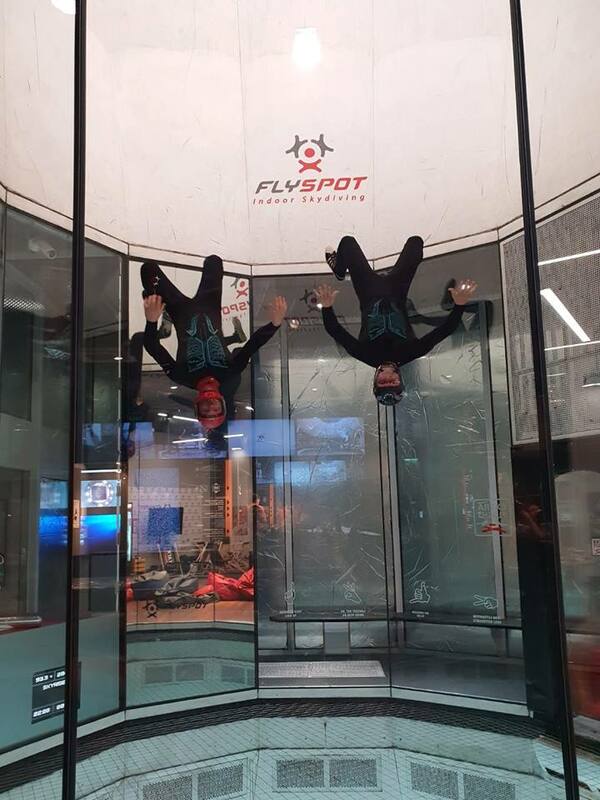 Speaking of our new t-shirts, we had the chance to put them to the test in the wind tunnel at Flyspot, an amazing indoor skydiving simulator located in the center of Katowice. The wind tunnel is an amazing invention that uses high power airstreams to make you feel like gravity doesn’t exist and you’re soaring like a bird. Our t-shirts survived the test and we had an exhilarating experience at the same time! As you can see, at Skyrise we aren’t afraid of challenges and reaching new heights! Thanks for keeping up with what’s new at Skyrise! We hope you’re enjoying the rest of the summer and we look forward to sharing our August news with you soon – stay tuned!